America Sitting On 'Powderkeg' As World's Eyes Turn To Philadelphia - Did Hillary Have A Seizure Or Did They Turn Her Into A 'Bobblehead'? With the Republican National Convention having gone off without a hitch, the attention of America and the world turn to Philadelphia and the 'coronation' of 'queen' Hillary Clinton. While Donald Trump at the RNC brought 'unity' to a 'new' Republican party and America, we see in this story from the Washington Times that Hillary Clinton is already bringing division, inviting families of blacks killed by police to speak at the upcoming Democratic convention while neglecting to allow families of law enforcement officers killed in the line of duty by racist blacks who hate whites and cops to speak. We also take a look below at a bizarre new video which some believe shows Hillary having some kind of a seizure after being startled by a series of questions about her possible vice presidential candidate. While this may or may not show Hillary having a seizure, it certainly provides more questions about her health and her fitness to lead America. Much more below including a look at the DNC in Philadelphia and warnings from one police commissioner that America is a nation 'sitting on a powderkeg' as the 'Bernie or bust' backers head to Philadelphia. As we hear from John McNesby, president of the Fraternal Order of Police Lodge 5 in Philadelphia, the union is 'shocked and saddened' by Hillary Clinton's choice of speakers at the DNC. While allowing relatives of Michael Brown and Eric Garner to speak, relatives of LEO's killed in Dallas and Baton Rouge will not be among the speakers. Why not Hillary? Are dedicated public servants brutally murdered in the line of duty by those who you support (BLM) not part of your 'agenda'? “The Fraternal Order of Police is insulted and will not soon forget that the Democratic Party and Hillary Clinton are excluding the widows and other family members of police officers killed in the line of duty who were victims of explicit and not implied racism,” Mr. McNesby said in a statement. He said it’s “sad that to win an election Mrs. Clinton must pander to the interests of people who do not know all the facts, while the men and women they seek to destroy are outside protecting the political institutions of this country. The Clinton campaign has scheduled former President Bill Clinton to speak Tuesday night with members of Mothers of the Movement, a group that includes relatives of black men killed by police such as Eric Garner of New York and Michael Brown of Ferguson, Missouri. Former Philadelphia Police Commissioner Charles H. Ramsey, who said the nation is a “powder keg” over the police-involved shootings and assassinations of officers, is also scheduled to speak. The Police Union in Philadelphia is just the latest group to join the 'pile on' Hillary as we read in this story from Vanity Fair and hear in the next video below, former Republican presidential candidate Ben Carson has 'doubled-down' on the Clinton/Lucifer connection and warned that Hillary is an 'agent of evil'. Ripping apart Hillary and her long-standing connection to Saul Alinsky, Carson makes the case for us that Hillary is one very bad apple. 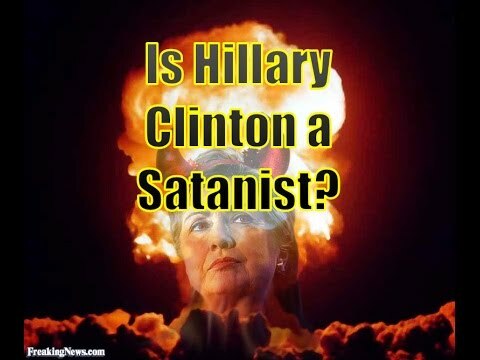 Should America “elect someone as president who has as their role model somebody who acknowledges Lucifer?" In the 2nd video below we get to hear New Jersey governor Chris Christie's epic shellacking of Clinton at the RNC where he lays out a very good case of why Hillary should be wearing stripes rather than running for the highest office in the land. Interestingly enough, with even movie producer Oliver Stone recently warning that "Pokemon Go" IS 'totalitarianism' as shared in this story from CBS News, as we hear in the final video below directly from Hillary's mouth, Hillary wishes that the developers of the viral 'Pokemon Go FEMA Camp app' would invent a "Pokemon-Go-To-The-Polls" and her completely clueless audience eats up every word she says. 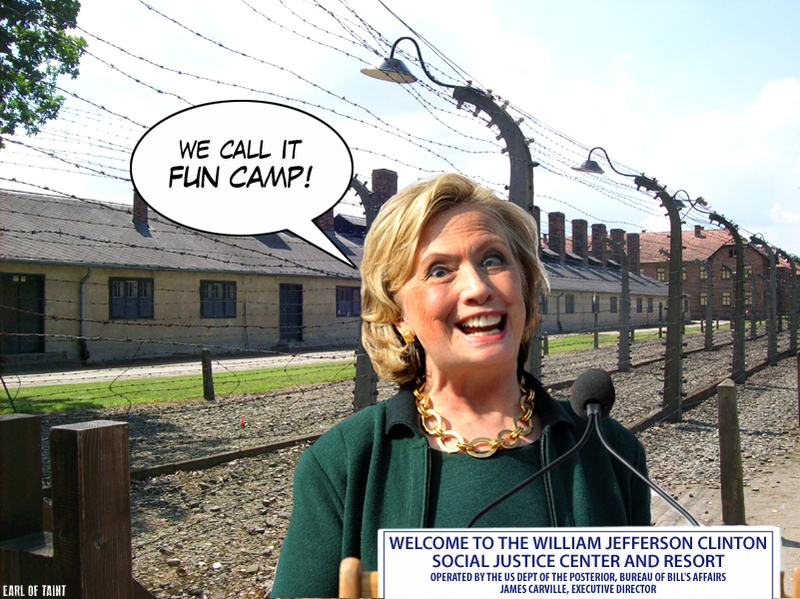 Hillary 'fun camps' anyone? As we reported back in March of 2015 on ANP, Clinton HAS called for 're-education' camps for Americans who don't fall for the globalists 'new world order' agenda. It's clear that we've now reached the point where it'll either be Clinton or Trump leading America in 2017 should Obama's blm-crew be unsuccessful at getting him to declare martial law and suspend the elections. All that Hillary gives us here is another great reason to vote Trump in November.